You'll be able to order it during the theatrical window for $60, which isn't making theater owners too happy. The cost of going to the movies is increasing while at the same time home theaters are getting better. It isn't all that uncommon to have a 60 inch set and a home theater system isn't unheard of either. If you've got a killer setup, why not use it? 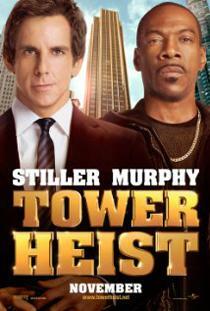 The new comedy 'Tower Heist,' starring Matthew Broderick, Eddie Murphy, and Ben Stiller is coming to Comcast's video on demand service three weeks after its theatrical release. It'll cost you $60 to rent, but if you bring over a few friends and get some regularly priced food to go with it the price starts to make a lot of economic sense. Theaters, as you might imagine, are pissed. Cinemark theaters say that they'll be boycotting the movie based on this decision, as have the Galaxy, Regency and Emagine theater chains. Time will tell who this boycott hurts worse - movie studios or movie theaters.